Claude-Joseph Vernet – Manchester City Galleries. Title: Coast Scene with a British Man of War. Date: 1766. Materials: oil on canvas. Dimensions: 81.8 x 131.2 cm. 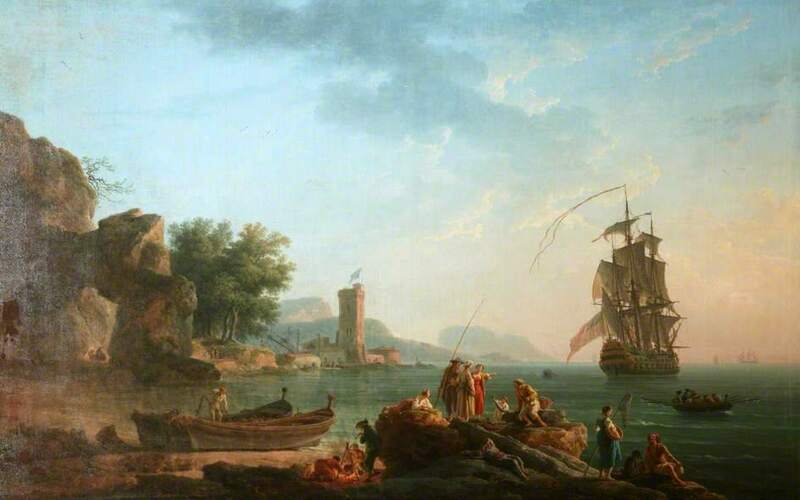 Source: http://www.bbc.co.uk/arts/yourpaintings/paintings/coast-scene-with-a-british-man-of-war-206314. I have changed the contrast of the original photo.